Father’s Day weekend, we will be joining the Chicago Alliance Against Racial & Political Repression for a Weekend of People Power. 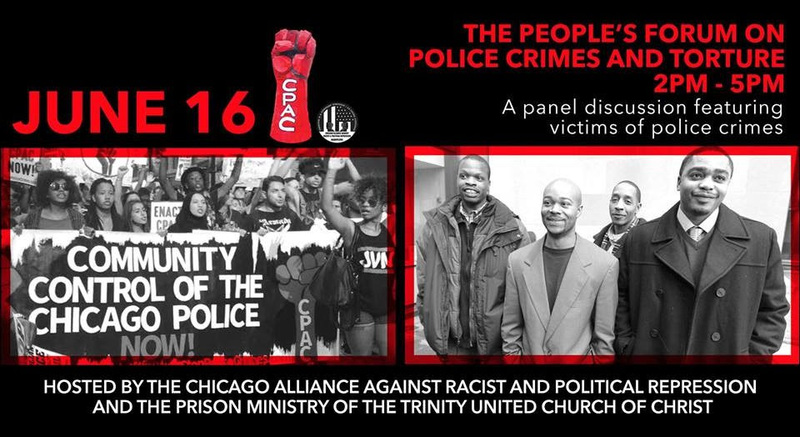 On Saturday, we will participate in The People’s Forum on Police Crimes & Torture from 2pm – 5pm. From 6pm – 9pm we will celebrate the mothers of the movement with a dinner dedicated to their strength and perseverance. In the midst of incredible pain, these mothers continue the fight for justice for their children who have been murdered by police. We will be joined by mothers from across the country and the City. We will also honor Chantell Brooks and her son, Michael Westley, who was killed June 16, 2013 by CPD. We will join together and continue fighting for every survivor and family member. 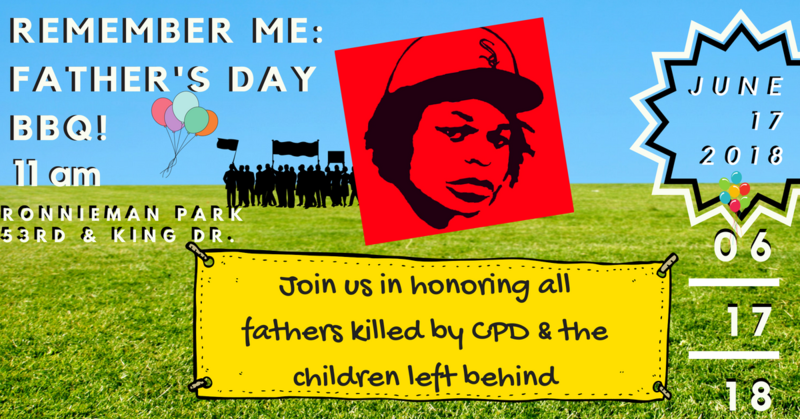 On Sunday, Father’s Day, we will be honoring all of the father’s killed by CPD and the children left behind as part of the 3rdAnnual RonnieMan Father’s Day barbecue. We will now be including Maurice and his children as included honorees. 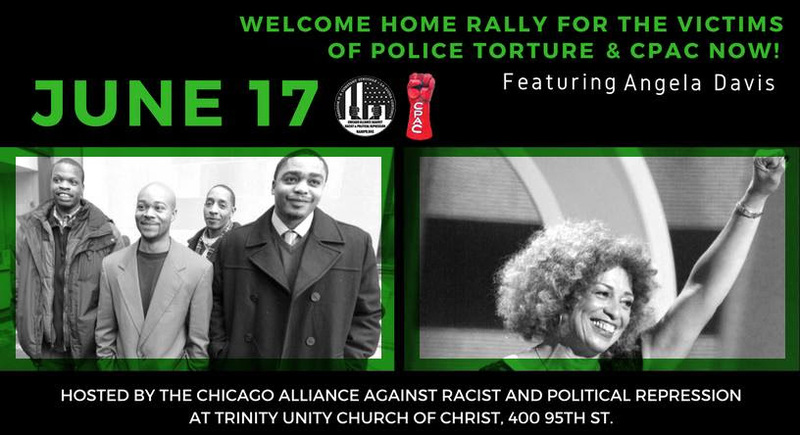 In the afternoon, we will participate in the rally to welcome home the victims of police torture, featuring Angela Davis. In this moment, we ask that you join in by coming to these events, donating your time and/or money, and supporting each of these fights for justice. There are many points of entry to help! Please donate to help Maurice’s family pay the funeral costs to bury Maurice HERE. Donate to RonnieMan’s mother, Dorothy Holmes, who is raising money to cover the costs of the mothers’ banquet on Saturday and the RonnieMan bbq Sunday HERE. It is together that we can organize to shift power and create a world where our people are not gunned down in the streets, where our children can safely play, where City money is spent on schools and healthcare and not cops. Your support is needed and cherished.